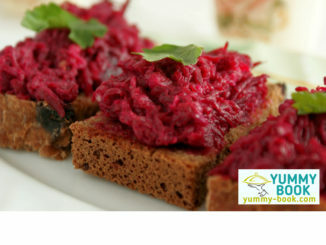 Easy beet appetizer recipe – boiled beets with garlic and mayo on toasts. 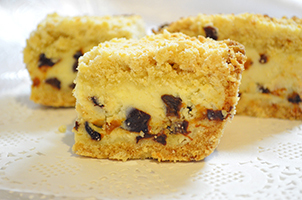 Very easy, tasty and looks beautiful! 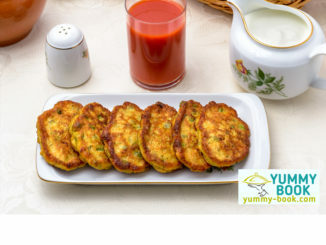 Mixed vegetable fritters recipe – recipe for easy to make tasty fritters with zucchini, green peas and carrot. Perfect as an appetizer. 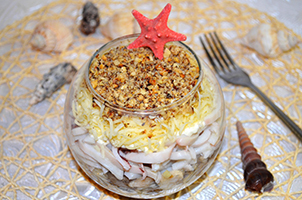 Baked mussels recipe with cheese and garlic sauce – the recipe of yummy appetizer, which cooked with a simple combination of mussels, grated cheese and garlic butter sauce. 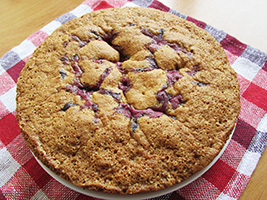 So tasty and so easy! 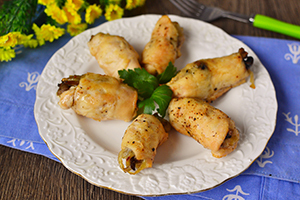 Stuffed chicken breast rolls recipe – tender chicken fillet baked with mushrooms and onion. Quick and easy! 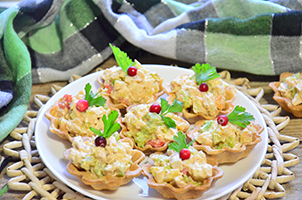 Chicken tarts recipe – recipe of delicious appetizer with low fat filling of chicken and vegetables in yogurt. Salmon sandwiches recipe with avocado cream – quick recipe for delicious appetizer. Salted salmon fillets, tender cream with avocado and cottage cheese – these sandwiches are great! Potato pancakes recipe for cooking delicious and hearty appetizer. Serve potato pancakes with cheese sauce or sour cream.